Speaking of Asakusa, almost all people may picture shrines or temples. 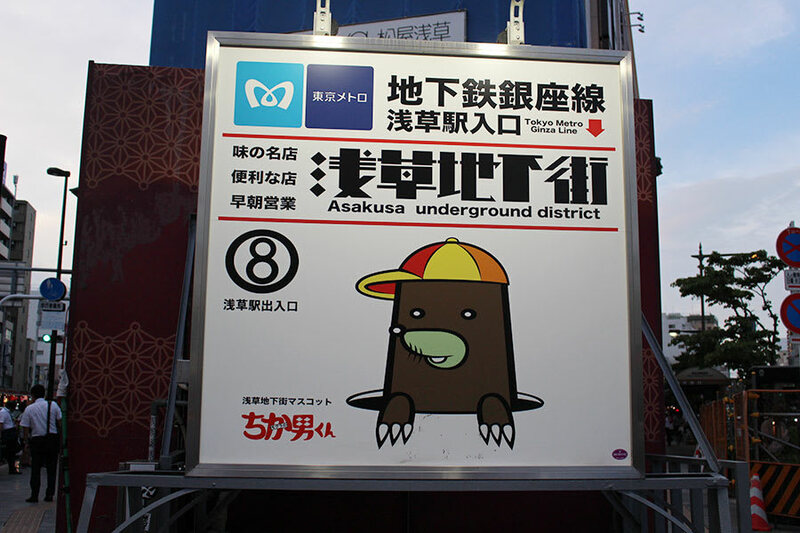 However, the city offers so many different aspects, and one of them is Asakusa underground shopping mall. It’s the oldest place in Tokyo after WWII and fascinating place where reminds you of Showa period (the 1950’s). 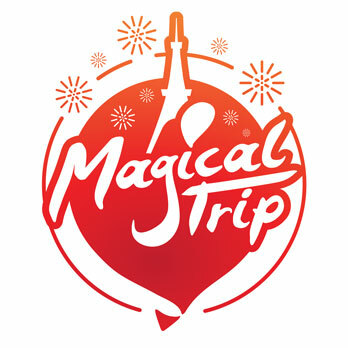 Because of chaotic ambiance, it reminds you of Asia, and you’d feel you’ve been trapped in the wonder world. The Asakusa underground shopping mall is located on the way to Matsuya department store underground street from the exit of Tokyo Metro Ginza-Asakusa line. 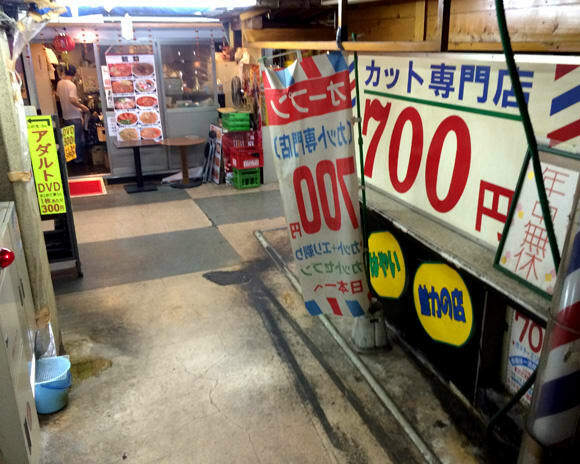 After Miharabashi underground mall closure, it became the oldest one in Tokyo area. It was opened in 1955, and it’s been in business for 60 years. This cramped atmosphere brings you back to the early Showa era or movie sets. It’s one of those rare kinds that you could experience unusual of Asakusa. For those who are festinated by Japanese history of Showa-period (the 1950’s), you’ll have a lot of fun exploring there. However, keep in mind that not all shops are opened. Because of a sign stating, “a shortcut to Asakusa temple and Nakamiyo street,” some pedestrians can be spotted coming from the exit of Tokyo Metro Ginza-Asakusa line. Along the street, there are restaurants and shops such as Izakaya (Japanese tapas bar) and barber shops, used CD/DVD shops and fortune tellers. Since their sales prices are fairly reasonable, you may find some good deals there. If you like something nostalgic experience, you find it here very interesting as it’s hard to find these retro places in Japan. 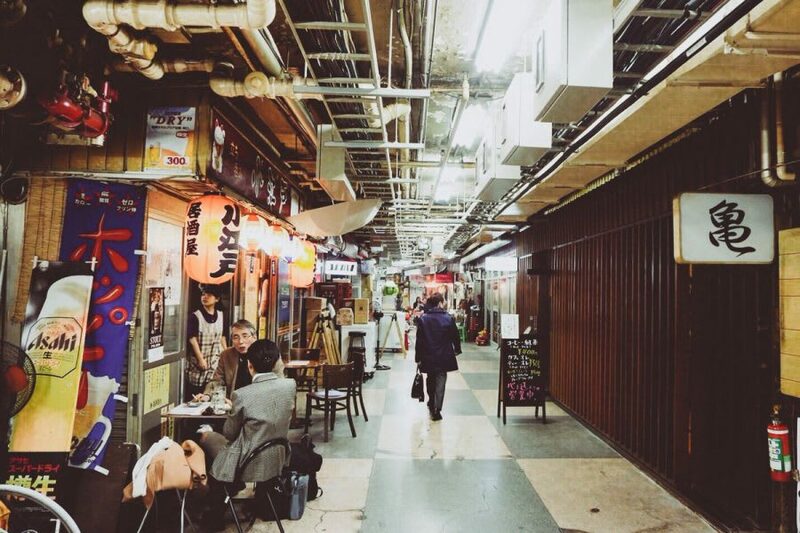 The attraction of Asakusa underground shopping mall is its ambiance. Even if it’s your first time to visit the site, you’d feel nostalgic by the retro setting of the post-war period. Tokyo has many of historical spots, but this place is the real thing of Showa retro for sure which you cannot find anywhere else, so stroll around and see this cool sight! Cheaper here than the other places?! Look at their prices! Can you believe that you can get a haircut for JPY700 and 10-minute body massage for JPY1,000? These prices are the bargain considering the monetary inflation in Tokyo area. How about JPY300 for Highball? It may be cheaper than ones in the countryside outside of the city. 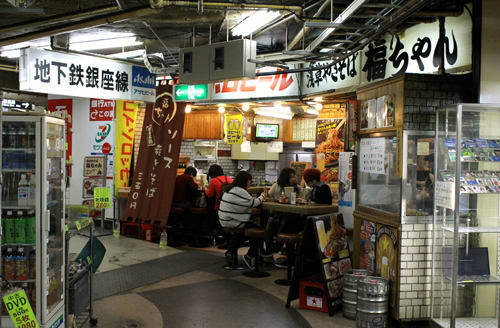 There are other shops such as traditional Japanese restaurants, Sushi bar, and Yakisoba restaurants. 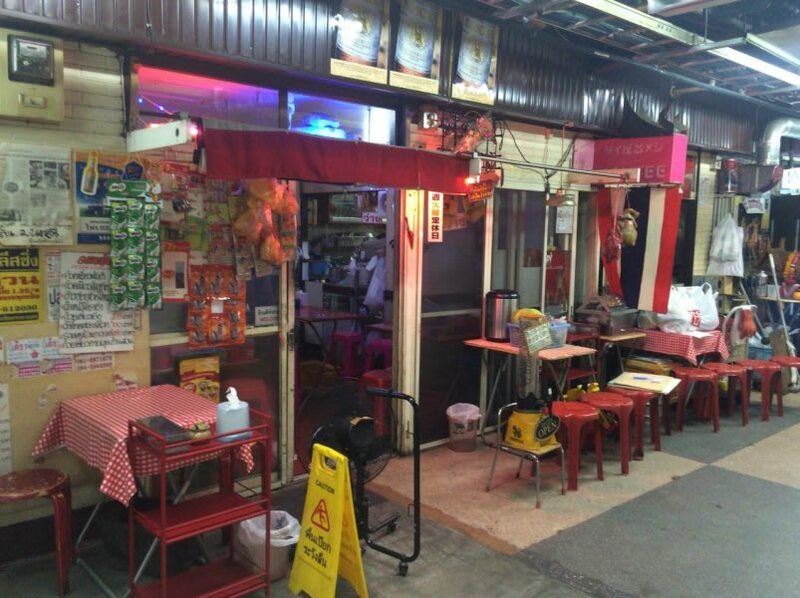 As a matter of fact, there is a well-known popular Thai restaurant called “MONTEE” at the underground mall. With numbers of people are raving about the restaurant on the review sites, you may want to check it out the place. One more recommendation is coin lockers located at the end of the street. 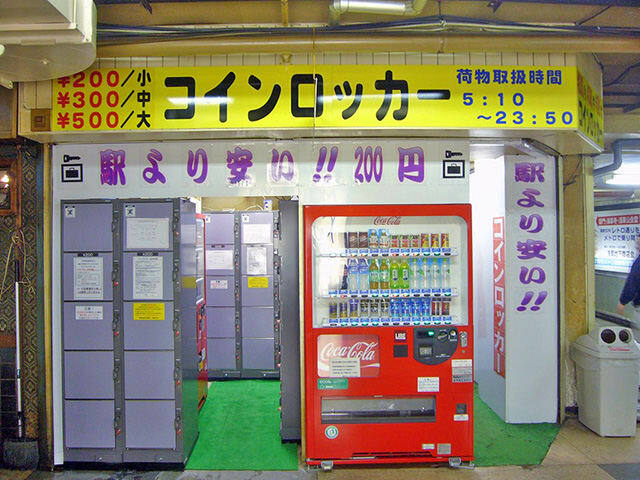 These lockers cost only for JPY200 which is cheaper than the station, and it’d be handy for travelers.